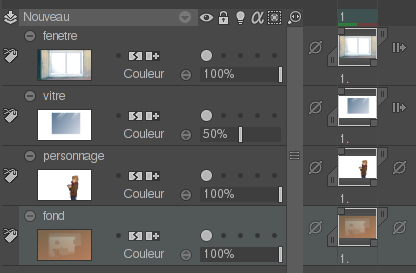 In order to have a clear and comprehensible Timeline for everyone, we advise you to rename your layers, as it can be very easy to get confused once several layers are created. 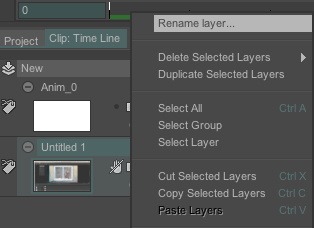 * Right-click on either the layer's name or a zone without any buttons or options in the Timeline to show the contextual menu, and choose Rename layer on top of this menu. 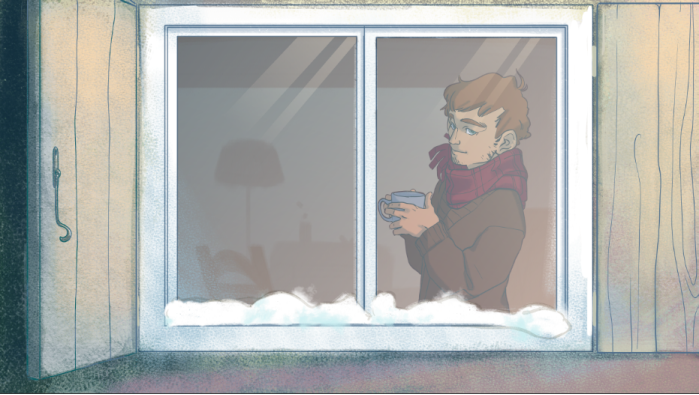 Independent of which method was used, a text window will appear. You may now enter the name (character) in the text field and then validate it by clicking on OK.